Moving away from college to attend school can bring with it new weather patterns, more severe winters, and hot summers. Know what to expect from your new location and be prepared to face all seasons. An extremely cold winter may not be the only new thing you have to deal with, though. 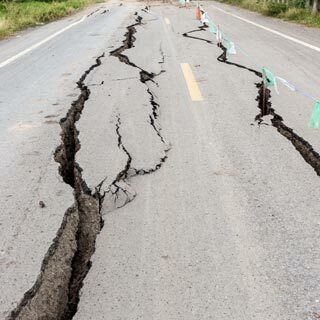 Natural disasters can occur anywhere within the United States (and the world), and knowing what you might be up against and how to react in case of emergency is essential to your overall safety. Become familiar with the emergency procedures of your school and city, and keep an emergency kit around just in case. While there are many different types of natural disaster, nowhere is safe from all of them; natural disasters can strike anytime, anywhere. Your college will likely notify you via email if there’s an impending disaster, but subscribe to receive emergency texts from both your school and the National Weather Service anyway. 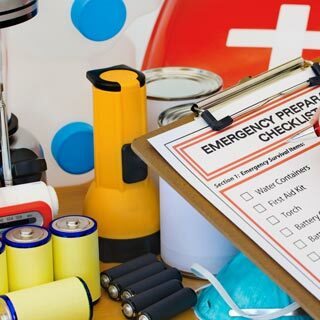 Keep an emergency kit in your dorm room, apartment, or car, and know what to do in specific types of disasters. After it has passed, it may not be safe to return to your dorm or apartment. Wait until you get an all clear, and even then, be cautious. Depending on where you are living, you are susceptible to different types of natural disasters. While a coastal region may have to deal with hurricanes or tsunamis, plains regions may have to watch out for wildfires, blizzards, and tornados. Learn how geography affects your likelihood of experiencing different natural disasters and what to do in the midst of one. Earthquakes, floods, hurricanes, landslides, lightning, tornados, tsunamis, wildfires, and winter storms each pose a different threat and require vastly different responses should you be caught outside. If you’ve never experienced living in a hot climate before, you’re in for a bit of a shock. But even if you’re familiar with the heat, there are plenty of precautions you should be taking to keep yourself safe in hot weather. Staying hydrated (while also avoiding alcohol and caffeine) will help you avoid dehydration, heat exhaustion, and heat stroke, but you should learn the symptoms of these heat-related illnesses and know when it’s okay to self-treat and when you should call emergency services for extra help. It’s one thing to bundle up and walk through the snow from your dorm to your classroom, but it’s another thing entirely to stay outside for the duration of an ice hockey game. 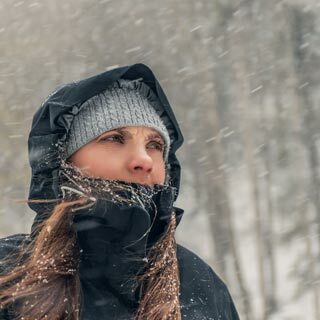 Knowing how to protect yourself from frostbite is essential if you live somewhere that has a brutal winter. Dressing warmly, staying hydrated, avoiding alcohol, and being aware of your surroundings are all important to keep you safe. A quick slip on the ice could lead to more than just a twisted ankle; if you can’t get up and get yourself back inside, hypothermia could set in and cause a whole host of other problems.